Could you be getting more leads from your email campaigns? We know recruiters have a really tough job when it comes to communication. You have to overcome objections, help people with decision making and provide a sense of confidence while navigating the hiring process. In this post, we will share some secrets with you to make sure your email marketing efforts are more likely to avoid spam filters, get opened and actioned. Take our tips about email deliverability, design and engagement to your next campaign and see the magic yourself! How did you measure the effectiveness of your last email campaign? Who was the target (clients or candidates) of your last email marketing campaign? What was your goal (i.e. get applicants or referrals for new roles)? How did you measure the success of that campaign? Do you know how many emails got opened or ignored? Did you use an email sending platform or your recruitment database? We often see recruiters who send 200+ people an email from their recruitment database to provide an update on latest jobs. Often, it is sent directly from a recruitment CRM which don’t allow for ‘unsubscribe’ links and other SPAM compliance features. Many also don’t report back which emails have been opened, or if it has bounced or gone into a SPAM folder. Your candidates may not mind getting your emails about latest job ads while they are looking for a job but are these the right contacts for your ‘hot jobs’ list after you have placed them? They might be more engaged with an email asking them to refer a friend to those latest jobs. The point is, sending the right email at the right time to the right person is not an easy thing to do. Especially when your contacts morph between being your candidates and clients. At Alphawhale we specialise in inbound marketing and love to help our clients replace cold calling and ‘spray-and-pray’ email marketing with warm inbound leads. We wanted to share some of our best tips to help improve your email marketing game and get you more opens, clicks and leads from your email efforts. This might sound obvious but it’s crazy how many emails get sent that never get opened (over 80% of emails in the recruitment and staffing industry never get opened). If you are sending an email in the hope to get attention then follow these 3 basic steps. Create a short (6-10 word) subject line that matters to your audience. Start by answering this question “How will this email help them?”. Your first paragraph should answer the question “Why should they spend the next 2-3 mins of their life reading this email? Finally, what do you want them to do after reading your email? Should they write back to you, should they book a meeting, should they call you? Whatever it is, make it easy for them to know what action you want them to take with a clear ‘call-to-action’. Some client contacts in your list have probably moved on from their previous company and their email address is no longer valid. Sending your latest greatest candidates to a bunch of invalid email addresses will result in a hard bounce. If you continue to send emails that bounce your email domain (@awesomerecruitment.com) will be put on the email sender’s naughty list. This will increase the likelihood of your emails ending up in the spam folder and never being read. The challenge here is that most recruitment CRM’s don’t show you the stats on email deliverability let alone opens and clicks. So you probably have a lot of bounces that you don’t know about. Ask your IT team (or contractor) to provide last months stats on bounced emails. You can update those contacts in your CRM as ‘do not market’ until you get their new email address (and their permission to market to that email address). Not only is this a good way to keep your recruitment database up to date with your leads latest info but you’ll fix your bounce rate and start improving your email send score. Cake and eat it too moment right there! If you need help, request a free sender score audit from Alphawhale to help discover any issues with your recruitment companies email domain. When was the last time you looked at your recruitment email campaigns on your mobile device? How did they look? Depending on which report you read, between 50-70% of people are checking emails on their mobile device. The best thing you can do is to use an HTML based email template that is responsive to different devices. You can design these with call-to-action buttons and images that will entice your contacts and encourage them to engage with you. If your recruitment database doesn’t have this capability, the next best thing is to use a font size of 14 and use font styling (Bold, lists, paragraphs) to break the text up. So what will your next email campaign achieve? 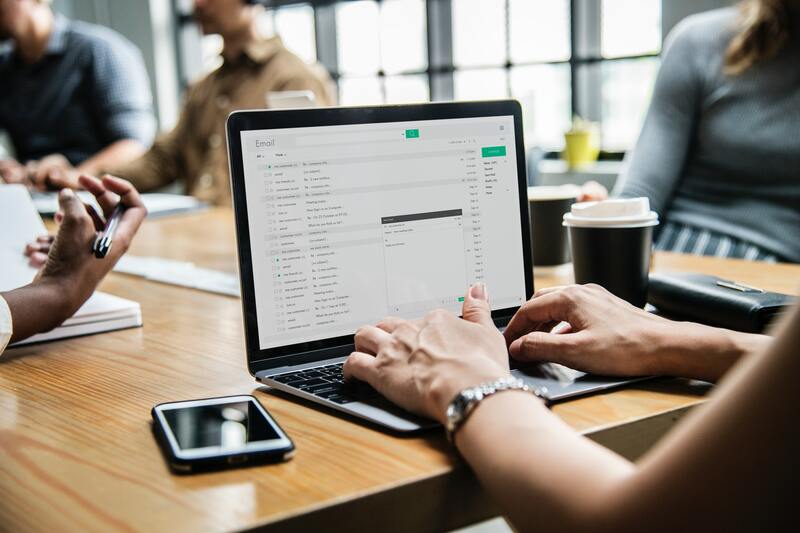 Fixing these common problems will mean your email is more likely to end up in the inbox (and not the spam folder), more likely to be opened and to create an action for your best fit leads to connect with you. Hooray! We’d love to hear from you if these tips helped you to improve your email send score, open rates and click-throughs. Send any questions at hello@alphawhale.com.au . Don’t forget to share this post with other recruiters experiencing similar problems!